Get Your Free Tree This Weekend in Wake Forest! The Wake Forest Urban Forestry Advisory Board is holding its 5th Annual Tree Seedling Giveaway this Saturday, March 6 from 8 am until noon in front of the Wake Forest Planning Department Annex, located at 205 Brooks Street (map). They will be giving away the following types of trees for free: Atlantic White Cedar, Eastern Red Cedar, Overcup Oak, Dogwood, Eastern Redbud, Persimmon, and Crape Myrtle tree seedlings. 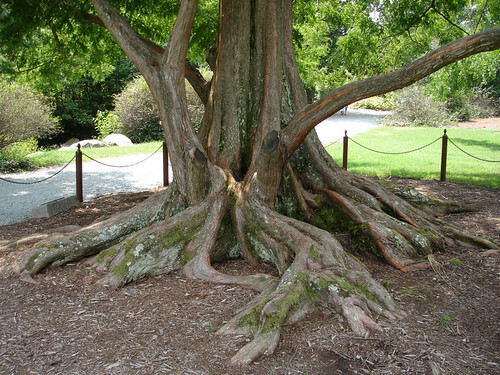 There will be master gardeners on hand to help you select the right tree for your needs and provide planting tips. Be sure to get there early as they have a limited supply. According to their website they gave out 1,700 trees to 575 people at last year’s event. For more information click here. Help keep the Triangle green. Plant a tree!